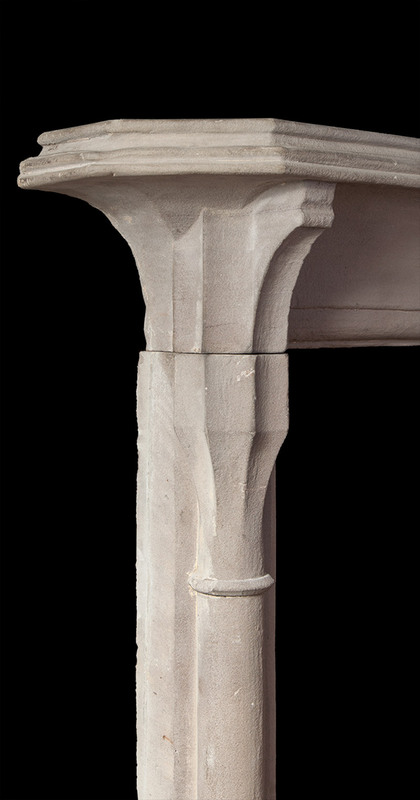 Carved from three single blocks of English grid stone during the early 17th century. 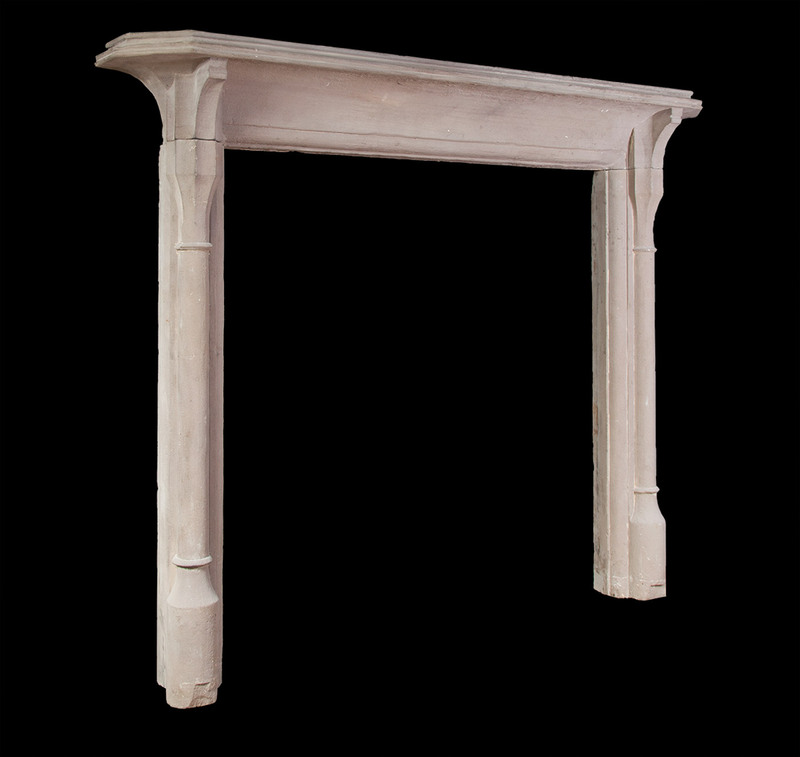 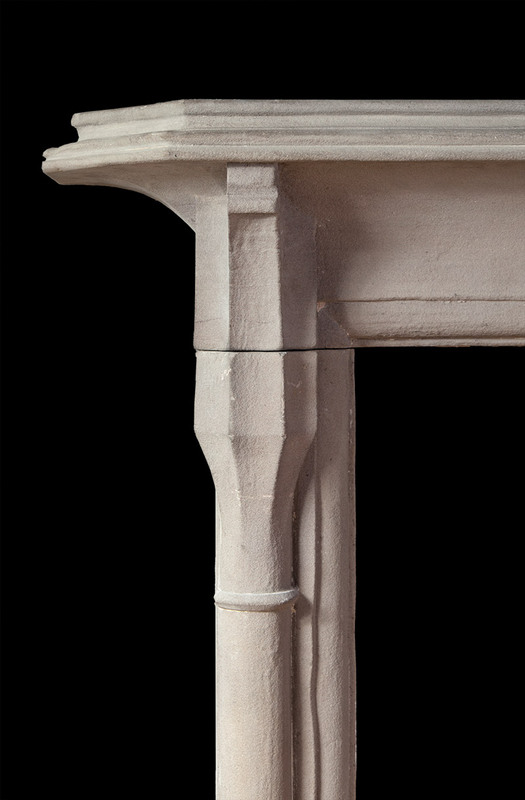 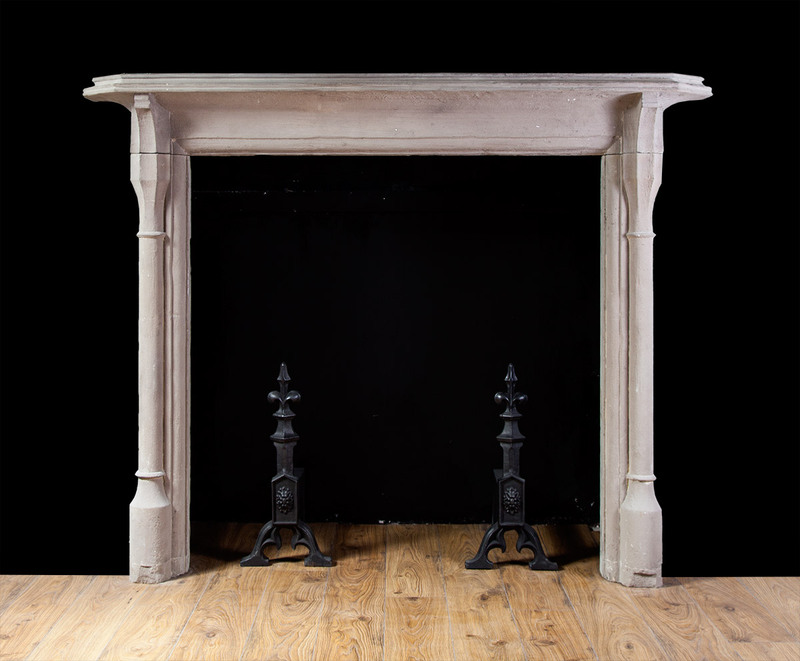 The fireplace features a simple moulded aperture with engaged columns and a thick moulded shelf. 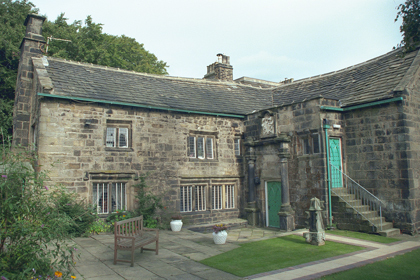 Originally from Old Harden Grange, Bradford, which was build between 1600 and 1650.